The vessel is made from abaca pulp, left in it’s natural colour. 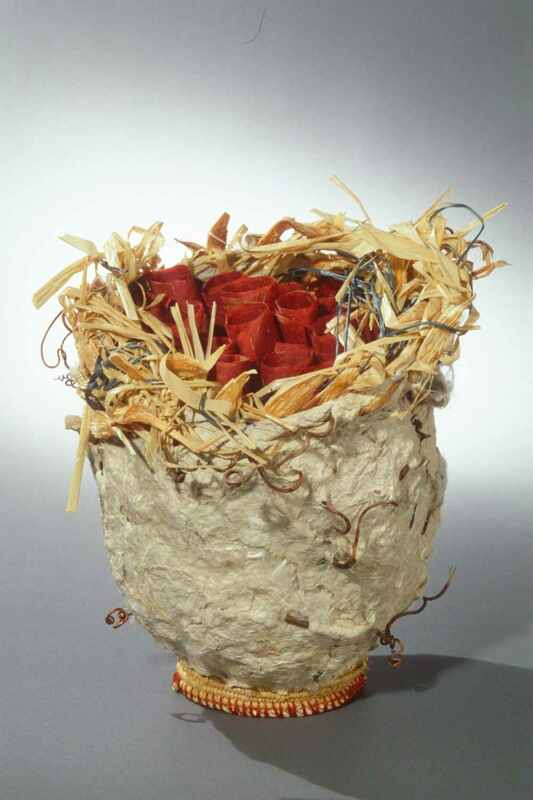 The base is woven with cane and raffia which is braided and brought up to the top of the vessel between two layers of paper. It is then braided and woven across the rim. Chocolate vine, bog cotton and milkweed seeds, are integrated into the surface of the vessel. There are twenty love poems written by well known poets, wrapped in handmade paper and tied with raffia inside the nest.